Thank you, Norman Mailer . 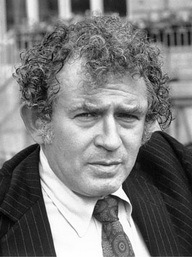 . .
Face-to-face, Norman Mailer bore little resemblance to his public persona; instead, he was the person I already knew so well from his novels and essays—a man closely attuned to the virtues and vices of the country into which he was born and which he devoted his life to documenting. During those two days we had discussed the possibility of collaborating on a radio programme about his cinematic techniques, organized in a similarly open-ended fashion. (Alas, it never materialized.) Although he had been up half the night and was clearly drained of energy, his primary concern during the interview was for my comfort and convenience. My questions, which were hardly deferential, were answered fairly and attentively. As I came away, I thought of what Steven Marcus had said in his introduction to the Paris Review interview: "One is impressed by his extraordinarily good manners." Two weeks later I sent tapes (and then transcripts) of all three events to Eric Mottram as part of my work for his M.A. seminar on The American Imagination of Synthesis. The covering letter [below] tells the story of those three days, so vividly fresh in my mind. As Norman says at his press conference, his approach to film is based on the premise that the story, the actors. and the filming process will impinge on each other so as to produce feedback which will alter all the components of the final product. This compresses into a single film a process which he believes has been going on for years between Hollywood and its audience, in which the fans take on characteristics of their favourite actors. As you will gather from his answer to my question at the press conference, Norman seems to regard this as an anti-entropic process, rather than simply a re‑run. He complained that LBJ was like Broderick Crawford only in private, not in public. The assumption of various film roles, he seems to feel, leads to the enriching of character and is a healthy symptom (debatable, of course; I'm only attempting to summarize). Thus he prefers amateur actors precisely because they are unable to simplify their responses in minor roles, revealing to the careful observer their complex of feelings about the character they are asked to portray, the story in which they are participating. 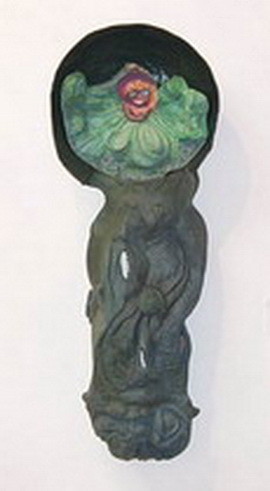 their self‑consciousness in the fullest meaning of the word, and the shifting interactions of all three. As Norman says on the tape, the world no longer permits the isolated aesthetic experience: the “real,' world constantly intrudes upon our private formalizations of perception. As we watch the “well‑made” film, the protest demonstration is going on outside and someone has sabotaged the projector. Of course, none of this is original with Mailer nor does he claim it to be. He refers constantly to Goddard, Fellini (8½)Antonioni (Zabriski Point), and the many underground film makers. (I forgot to ask him if held seen David Holtzman's Diary, which seems the closest among the underground films I know.) He seems to feel that his personal contribution is to serve as a meeting-point between Hollywood and the underground, exploring the mythic material of the former with some of the methods of the latter. He goes into this in some detail in the interview, and, in his public appearance, goes so far as to say that Maidstone is perhaps his only original contribution to aesthetics. I think that film appeals to Norman for some of the same reasons that radio appeals to me: in conversation, we found ourselves talking about them in much the same terms. In both instances. the difference between a satisfactory and an unsatisfactory product is determined in the “tinkering” that goes on in the final assembly—the minute adjustments that determine how the work “breathes”, that pace its kinesthetic progression, like a piece of music. (Maidstone, says Norman. took him two years to edit, and he does not think he could have done it satisfactorily in less time.) If you're lucky, the working vocabulary you have accumulated on film or tape will give you, perhaps, 80% of what you need in order to say what you want to. And in the process of accumulating that material, if you are open and flexible, your intentions change as you absorb the independent contributions of your collaborators. So in the final product you act as a delicately registering instrument which synthesizes a (hopefully) rich and complex body of material. What you put together, of course, is only one of several possible films (or programmes) that could be assembled, just as there's more than one way of looking at a blackbird. The process requires both force and humility. But all this constitutes a very personal aesthetic, not a general law of artistic creation. If I were to describe my aesthetic ideal, it would be closer to that of John Cage. Norman quotes Jean Malaquet: the work of art disappears so that man may become the work of art. But the previous paragraph does describe, in fact, the way I have always put a programme together. Norman has helped me to see more clearly how I actually work in the one area in which I feel I have acquired a certain artistic competance. I am deeply grateful to him. But what about Maidstone itself? I have seen it twice and am far from convinced that it is successful. Much of the acting seems bad and its improvisatory style in conflict with the conventionally professional camera work and editing. But I don't feel ready to come to any definite conclusions. It was more absorbing the second time, as Norman kept insisting it would be. A further complication: if Norman were to describe the film as he sees it, perhaps the description would be of greater interest than the film. He must, after all, see something of fascinating complexity in it—he certainly doesn't need to finance a quarter‑of‑a‑million‑dollar ego trip. Finally, as to Mailer himself, I can only echo what Steven Marcus said in his introduction to the Paris Review interview: one is impressed by his extraordinarily good manners. Approached with respect, he does not treat an interview as a boxing match, but as a conversation. My questions were hardly deferential. but he took them with good humour and always answered fairly. Of course he's a shrewd observer and I'm sure he was aware that I have an enormous admiration for him. He can tell the difference, no doubt, between an honest question and a compulsion to shoot it out with the fastest gun in the west. I hope the tapes will be useful to you You've been so generous of your material with me in the past that I would like to make at least a partially reciprocal contribution. The only recording you need be discreet about is the public appearance (Wed. night) which I had to promise the Sunday Times I wouldn't copy. P.S. A word about the last couple of questions in the interview. Norman had said he didn't want to get into a discussion of his books, since he was trying to concentrate his attention on the films for his few days in London. But, as the interview developed, I couldn't resist the temptation to ask a couple of unprepared questions based on issues you raised in seminar. His reply to the question on heroes is interesting, I think, as it relates to Maidstone, in which the director echoes Mailer's sentiments in “A Vote for Bobby K” (the paragraph you quoted in seminar). This takes up about the last five minutes of Side D. I also sneaked in a question on “The Last Night”, since it also related obliquely to Maidstone, but botched it and didn't think it fair to persist. Besides, I’d gone well over the time he’d promised me and he was noticeably wilting. After forty years, what remains uppermost in my mind is Mailer's extraordinary presence—his energy, his restlessness, his constantly exploring intelligence. He never played it safe, but was prepared to take chances, to act spontaneously, to stick his neck out. It worked often enough to justify the gamble. Watching this movie again after forty years, a line caught on the fly: "Being the President is the equivalent of being a monkey in a shooting gallery."